White coffee plant flower blossoming (Coffea). In Colombia, coffee plantations are spread across the country. 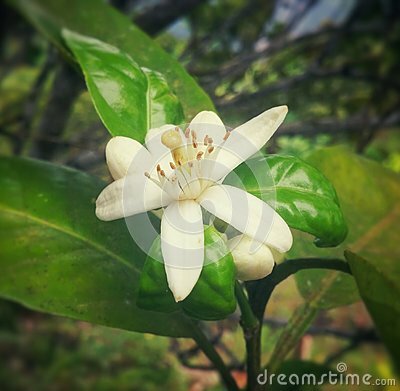 This is a white Coffea blossom with starry shape and big anthers and stamens.